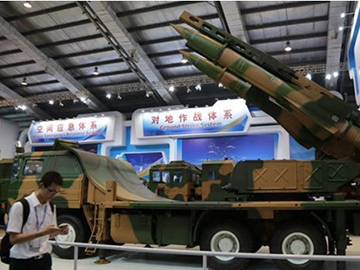 The China Securities Journal - the state-owned business newspaper – reported on 2 May that the defence enterprises include: China North Industries Corporation (NORINCO), China Electronics Technology Group Corporation (CETC), China Aerospace Science and Technology Corporation (CASC), and China Shipbuilding Industry Corporation (CSIC). The four corporations are included in a list of nearly 20 state-owned enterprises (SOEs) that are expected to undergo restructuring later this year in line with Beijing’s pledge in December 2016 to deepen the ownership reform policy. Corporations from sectors including energy, transport, civil aviation, and telecommunications have also been identified for restructuring, although this is thought to be the first time that defence enterprises have been identified by the government for reform. Disclaimer: The information, ideas or opinions appearing in this article are those of the author from the UK's Jane's Defense Weekly and do not reflect the views of eng.chinamil.com.cn. Chinamil.com.cn does not assume any responsibility or liability for the same. If the article carries photographs or images, we do not vouch for their authenticity.